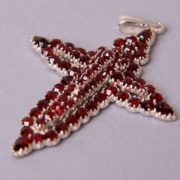 Many people think that garnet is red. 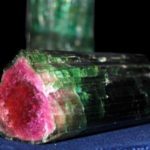 Despite the fact that the dark red varieties of this group of minerals are more common than others, their color range is much wider and varies from emerald green to reddish-brown and even black. 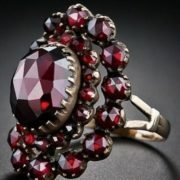 Garnet is known to man since ancient times and had many names. 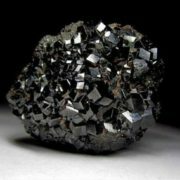 Theophrastus, for example, called it anthrax – coal, and Pliny the Elder named it carbunculus. 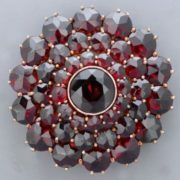 Garnets are hard and very often they are transparent. 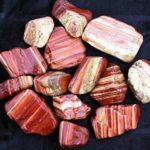 Their color depends on the elements in the chemical composition. 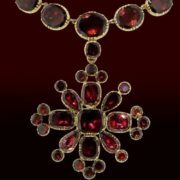 The most valuable type of garnet is red. 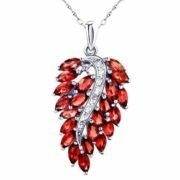 Pyrope is the most valuable variety of garnet. 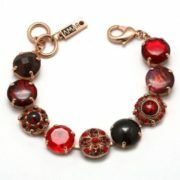 Its name comes from the Greek feast, fire. 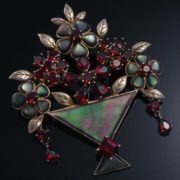 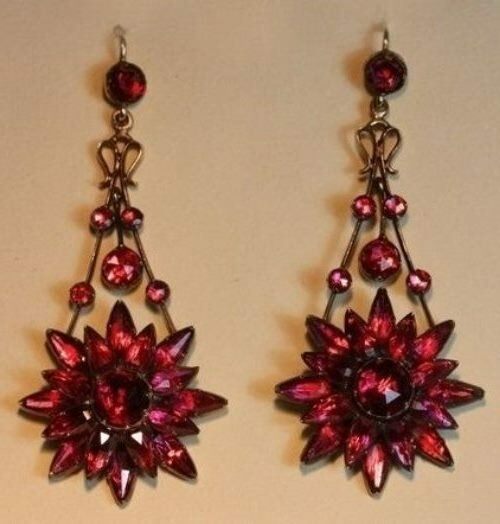 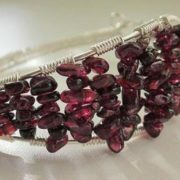 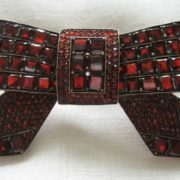 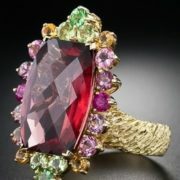 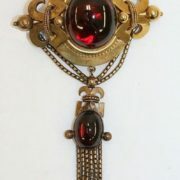 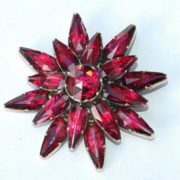 It is also known as Bohemian garnet. 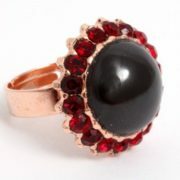 The rich dark red color of this gemstone is due to the presence of magnesium in its composition. 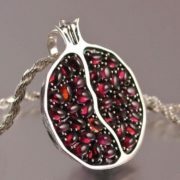 Another variety of garnet is grossular. 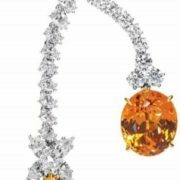 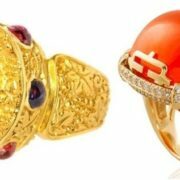 Its color varies from yellow to orange (hessonite), due to the presence of iron in its composition. 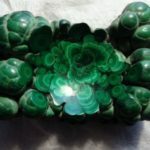 Sometimes it also has a magnificent emerald green color because of chromium. 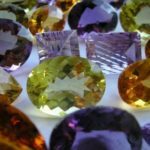 The andradite garnet, named after the Portuguese mineralogist Andrada, can be of different colors: black (melanite), yellow (topolite) and emerald green (demantoid). 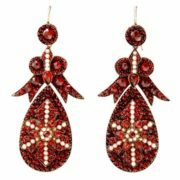 Almandine, also known as the “eastern garnet”, has red color, the intensity of which depends on the composition, and can have purple or chestnut gleams. 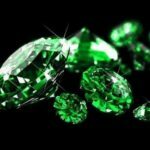 Uvarovite, named after the nobleman and member of the Imperial Russian Academy of Sciences Count Uvarov, has a rich emerald green color, due to the presence of chromium. 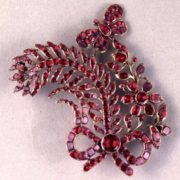 This is a very valuable jewelry stone, the use of which is limited only by its rarity. 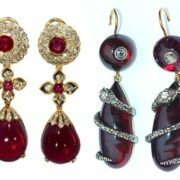 Pure garnet of bright red color is considered a symbol of fidelity, human warmth, candor, honesty and constancy. 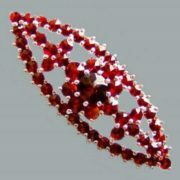 This gemstone stimulates the blood circulation and hematopoiesis and is a good antioxidant. 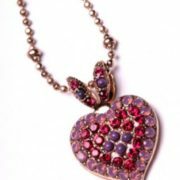 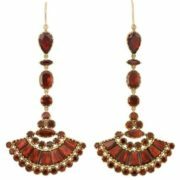 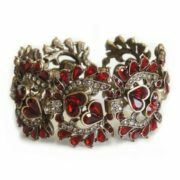 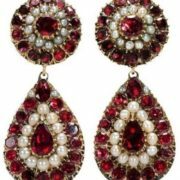 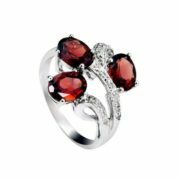 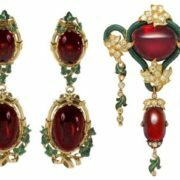 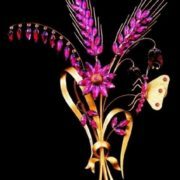 Jewelry with garnet make a person more attractive and interesting and help to find love. 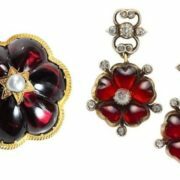 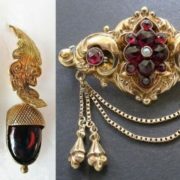 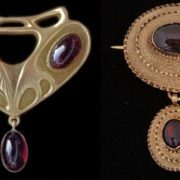 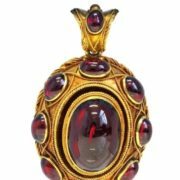 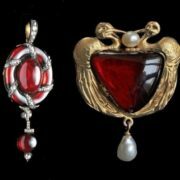 Ancient Greeks exchanged garnet amulets as a sign of eternal friendship, frankness and love. 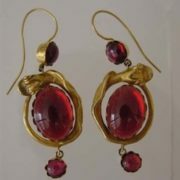 Since the Middle Ages, this gemstone was widely used in lithotherapy. 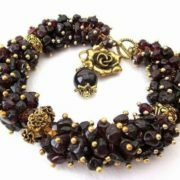 It is believed that the garnet has a rejuvenating effect. 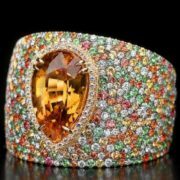 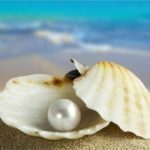 It is called the stone of desire. 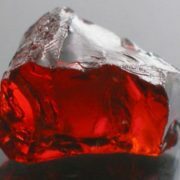 According to one of the legends, Aladdin’s lamp was in reality a giant garnet. 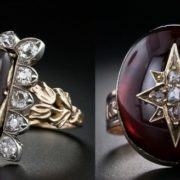 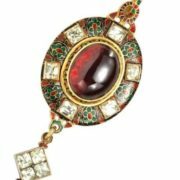 Garnet is a talisman of sculptors, artists, poets, musicians, fashion designers, directors, actors, all those people whose success depends on passion.